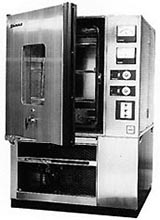 ESPEC's History | About ESPEC | ESPEC CORP.
TABAI MFG. 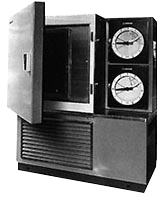 CO., LTD is established at the site of ESPEC's present headquarters to manufacture scientific instruments. The founders are its first president, Goro Tabai, Toshio Tabai (Senior Managing Director), and Eiichi Koyama, who will become the company's second President. 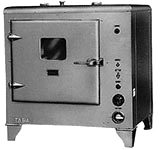 Tabai's first original product, an enhanced low-temperature drier, immediately becomes a major hit. Tabai becomes the first company in Japan to commence development of environmental testing equipment. Tabai restructures its nationwide agency system to create a nationwide sales network. Large-scale stratospheric environmental testing systems (V-1, V-8, V-17) are exported. A large-scale hyperbaric chamber (PHC-50) is installed at the Osaka University Hospital. Tabai wins the Medium and Small Business Research Institute award. The Platinous Series is announced. Tabai becomes the first equipment manufacturer to offer long-term warranties covering two years or 5,000 hours (Platinous Series). The First Building is completed at the Fukuchiyama Plant. Tabai Engineering Service is established. The Second Building is completed at the Fukuchiyama Plant. The industrial design program is implemented for the first time, and the Laboratory Chambers is announced. The Third Building is completed at the Fukuchiyama Plant. Opening of the industry's first large showroom in the head office. Goro Tabai, the company's first President, dies. Eiichi Koyama (Representative Director, Senior Managing Director) becomes president. A full-scale CI Plan is launched. The Company's trading name is changed to "Tabai ESPEC." A new head office building is completed. The Company's shares are listed on the second section of the Osaka Securities Exchange. ESPEC Corp. (now ESPEC North America, Inc.) is established. The Company exhibits at the 1985 "Tsukuba Techno-Cosmos" science expo. The Company's shares are listed on the second section of the Tokyo Stock Exchange. An agreement is signed providing for the establishment of a joint venture with Shanghai Experimental Instrument Factory. The Company is promoted to the first section of the Tokyo Stock Exchange and the Osaka Securities Exchange. Shanghai Experimental Instrument Factory is established. The Environmental Test Technology Center is approved as Japan's first IECQ-authorized independent test laboratory. The Company becomes the first environmental testing equipment manufacturer to stage its own exhibition in Beijing, China. The "ESPEC New S '89 TOKYO", the first independent exhibition in Japan, is held. The Neyagawa Technical Center is established. The Company becomes a co-sponsor of the International Garden and Greenery Exposition. The Sixth Building is completed at the Fukuchiyama Plant. Phase 1 of construction of the Utsunomiya Technocomplex is completed. Eiichi Koyama becomes Chairman and Representative Director. Kiyoshi Shimazaki (Senior Managing Director) becomes President and Representative Director. Accreditation is achieved under ISO 9001 (JIS Z9901), the international standard for quality systems. An agreement is signed providing for the establishment of a joint venture with Guangzhou Environmental Simulation Engineering Corp. of CEPREI, Ministry of Electronics Industry, China. Guangzhou ESPEC Environmental Equipment Co., Ltd. is established. A representative office is opened in Malaysia. The 1996 Beijing ESPEC Group Environmental Testing Equipment Expo is staged. The Fukuchiyama Plant is accredited under the ISO 14001 standard. The Utsunomiya Technocomplex gains ISO 14001 accreditation. The representative office in Malaysia is upgraded into a subsidiary, ESPEC (Malaysia) SDN.BHD. TABAI ESPEC ENVIRONMENTAL EQUIPMENT (SHANGHAI) CO., LTD. is established. Commemorative activities are implemented to mark the Company's 50th anniversary. SHANGHAI ESPEC ENVIRONMENTAL EQUIPMENT CORP.(New) is established as successor to SHANGHAI ESPEC ENVIRONMENTAL EQUIPMENT CORP. The Tokyo Headquarters (now the Tokyo Technical Center) is established. The Seventh Building is completed at the Fukuchiyama Plant. Completion of the first phase of the Kobe Technocomplex (currently known as Kobe R&D Center). ESPEC Korea Corp. is established. The Environmental Test Technology Center (Kobe Test Center) is approved as an IECQ-authorized independent test laboratory under ISO/IEC Guide 17025. President and Representative Director Kiyoshi Shimazaki becomes a Representative Director. Senior Managing Director Susumu Nojii takes office as President and Representative Director. The trading name is changed to ESPEC Corp.
Renaming of Tabai Engineering Service Co., Ltd. to ESPEC ENGINEERING CORP. Establishment of ESPEC ENVIRONMENTAL TEST TECHNOLOGY CENTER. Achievement of ISO 14001 certification by entire group. Opening of ESPEC History Hall P3 (P Cubic) at the Fukuchiyama Plant. Establishment of Europe Office in Germany. Completion of ESPEC NORTH AMERICA's new plant. Reception of the "Nihon Kogyo Shimbun Co., Ltd. Prize" in the 13th Grand Prize for the Global Environment Award. Establishment of ESPEC TEST TECHNOLOGY (SHANGHAI) CO., LTD. Reception of the "Excellent Sustainable Management Award" of the Third Japan Sustainable Management Awards. ESPEC's 40th Agency Conference held in Shanghai. Domestic and overseas agencies participate for the first time. Apollomec Co., Ltd. changes company name to ESPEC TECHNO CORP. Establishment of ESPEC KYUSHU CORP. Establishment of ESPEC EUROPE GmbH. Construction of ESPEC KOREA's new plant. Renaming of ESPEC ENVIRONMENTAL TEST TECHNOLOGY CENTER CORP. to ESPEC TEST CENTER CORP. Completion of the Fukuchiyama Training Center. Assumption of post of Representative Director / President by Nobuyoshi Shin. ESPEC CORP. acquired ESPEC ENGINEERING CORP. and ESPEC TEST CENTER CORP. Receipt of certificates of appreciation as a member of the "Hayabusa" project support team from the State Minister in Charge of Space Development and Minister of Education, Culture, Sports, Science and Technology. Assumption of post of Representative Director by Nobuyoshi Shin, and Representative Director / President by Masaaki Ishida. The Platinous J Series received the 33rd Japan Machinery Federation Chairman's Award for Excellence in Energy-Conserving Machinery. Renaming of ESPEC TECHNO CORP. to ESPEC TEST SYSTEM CORP.
Start of operations of ESPEC Test Equipment (Guangdong) Co., Ltd. Receipt of the grand prize in the Eco Unit Category of the Eco Test Award 2013. Being selected as one of the "Global Niche Top Companies Selection 100" by the Ministry of Economy, Trade and Industry. Establishment of ESPEC ENGINEERING (THAILAND) CO., LTD. in Thailand. Signing of partnership agreement with Nagano Science Co. Ltd. on validation service for the stability testing of drugs. Received "Kurumin," and "Eruboshi" Mark Certification from the Ministry of Health, Labour and Welfare and "Leading Company in Women's Advancement in Osaka City " Certification from Osaka city.